Are you new to doTERRA essential oils? Welcome! I'm so glad you're here. On this page you'll be able to watch videos and read articles to teach you about the power and purity of doTERRA's essential oils. What are essential oils? Essential oils are the essence of plants, distilled and extracted, and able to help the body heal itself. Sound too good to be true? It isn’t. God, in His infinite wisdom, created plants not only to nourish our bodies as food, but to support our bodies for health. "I love the versatility of essential oils, how one oil can be used for multiple purposes." Why would you want to use an essential oil? 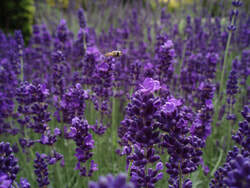 Use Lavender to relax your mind so you can fall asleep. Use On Guard to strengthen your immune system so you won’t miss days at work. Use Balance to ground you so your emotions won’t get the best of you. Use Lemon to remove harmful chemicals from your body so you’ll have more energy. Use Frankincense to clear up skin blemishes. Aromatically: Use a diffuser to spread the oil in minuscule droplets throughout the air or just open the bottle and inhale deeply. Topically: Rub a few drops on the bottom of your feet or on your wrists. Internally: Only use pure essential oils from a company you can trust this way, such as doTERRA! Either put a drop under or on your tongue, drink in a small amount of water, or place in a capsule and swallow. Lemon oil is wonderful added to your drinking water throughout the day (only in a real glass though…never plastic or Styrofoam). The quality of the essential oils you use matters! Aromatic Plant Research Center estimates that 80% of all essential oils on the market have been adulterated.